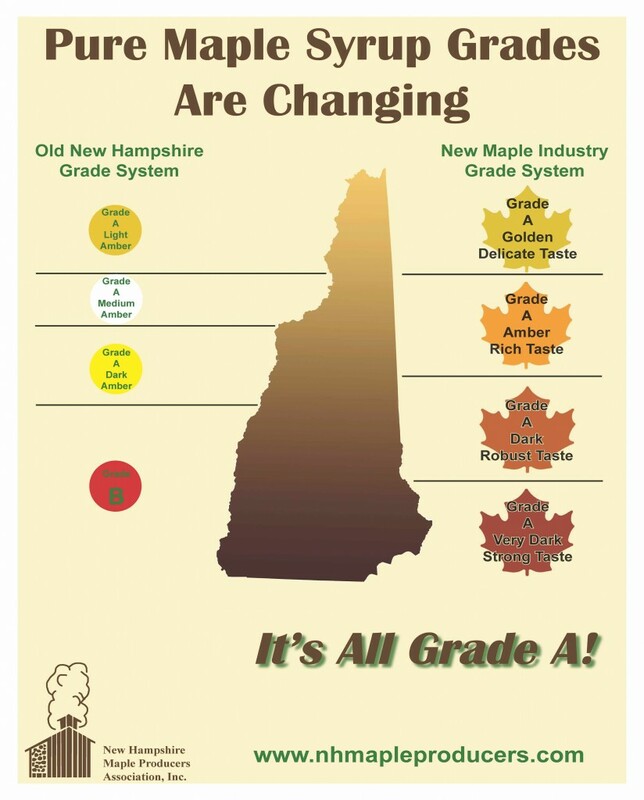 NH Maple Syrup Grades are changing! The New Maple Syrup Grades will begin to take effect in the 2015 season. This year is a transition year for the Maple Producers to change over to the new system. As of 2016, all producers will be required to use the new system. The first runs of maple sap in the early spring make the Grade A Light Amber syrup. This treasured syrup, with its delicate maple flavor, is used to make maple cream, candy and sugar. Many prefer it as a table syrup. Gradually, as the maple season progresses, the syrup darkens a shade to Grade A Medium Amber. This product bears a richer maple flavor and is great for pouring over pancakes, ice cream or oatmeal. 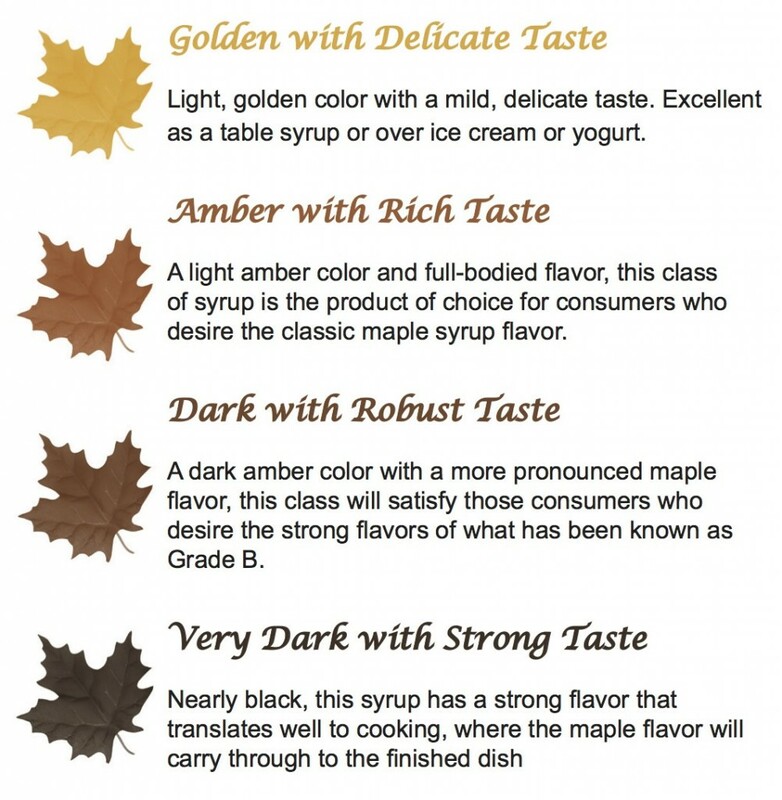 This grade is also used for making maple cream and sugar. Nearing the end of the 4-6 week season, the syrup darkens again to Grade A Dark Amber, which is also a choice table syrup. With its stronger, more robust maple flavor, it can also be used for cooking. At the very end of the season, some maple producers make a small amount of Grade B syrup, which is darker yet and has a strong maple flavor. Although some folks enjoy it as a table syrup, it is primarily used in cooking. All grades of syrup are processed alike and have the same density.